Regatta will be held at Long Beach Yacht Club, Oct. 20-21. 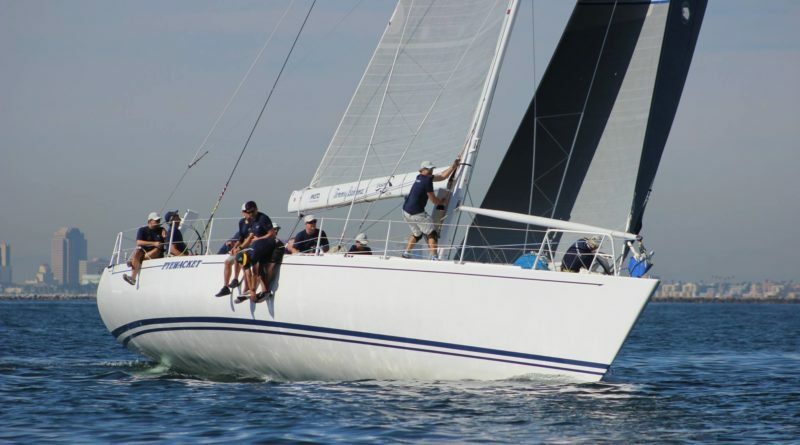 LONG BEACH — Long Beach Yacht Club will host the 2018 Campbell Cup on Oct. 20 and 21; the regatta will be open to members of the Pac52, TP 52 and Farr 40 classes. Pac52 and TP 52 boats will compete against other in the same class. Catapult, helmed by Joel Ronning, was the top winner in last year’s Campbell Cup; Bill Durant finished first in the Farr 40 competition. Early entrants already include Nimbus, Wasabi and Destroyer for the Pac52/TP 52 race; Blade II, Coquille, Temptress, Insanity, Katana and Foil entered for Farr 40, as of press time. Racing will take place in the Pacific Ocean, one mile south of the Alamitos Bay Channel Entrance; the racecourse shall be windward/leeward with leeward gates. The entry fee is $400 for Pac52 and TP 52 boats, and $300 for Farr 40; each boat must have at least one member aboard who belongs to a U.S. Sailing yacht club or sailing association. The entry fee includes post-racing food and entertainment for participating crews. Free coffee and muffins will be served each morning of the race. No races will begin after 1 p.m. on Oct. 21. A post-race reception and awards ceremony will be held at Long Beach YC, Oct. 21 at 4 p.m. Free beer will be available after Saturday racing. Berthing is available at Long Beach YC’s Long Dock. Email the race office at raceoffice@lbyc.org or 562-493-5173 for mooring information. Race Chair Cheri Busch can be reached at 562-533-5330 or cheribusch@gmail.com. John Busch, the principal race office, can be reached at 562-412-1043 or johnbusch20@msn.com. Long Beach YC’s waterfront director is Jess Gerry (raceoffice@lbyc.org or 562-598-9401). The club is located at 6201 Appian Way in Long Beach.